If you are going after Slabs(Big Keeper Fish) you need the best Lake Lewisville Crappie guide. Don't get burned by other fishing guides that promise they can produce the fish. 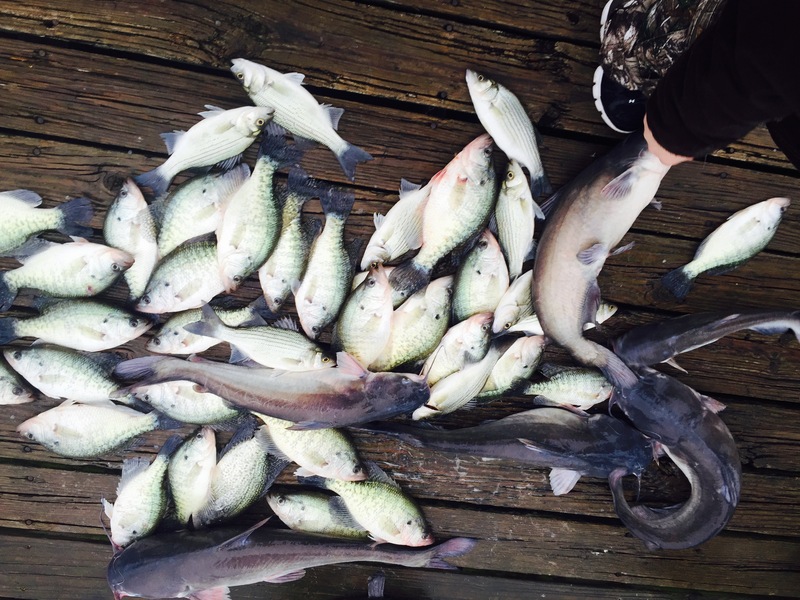 Lake Lewisville is a great Crappie lake and produces tons of fish, but it helps to know the lake secrets. Crappie is a popular game fish and a member of the sunfish family. Some fishermen claim Crappie to be the tastiest fish in the lake, their meat is delicate white and flaky with a mild pleasing flavor. Fried Crappie is a well known southern delicacy. People spend hours upon hours fishing for Crappie and catch nothing. The fish can hide out in deep water, shallow water or around cover such as boat docks and standing timber. It helps when fishing for them to know the lake and the cover. This fish is very mobile and that can make locating them difficult. Using a guide Crappie Guide is the best way to put these fish in your freezer. People dream about the thump, the delicate vibration you feel when the fish bites. If your not fast or focused you will miss the bite. Sometimes fish will swim up with your bait and you hardly even notice the bite. Knowing how to catch this finicky fish, is about knowing what they want, depending on the fishing conditions. There are many different methods and techniques required to be successful at catching them, from the color of jig to the depth the fish bite at. If you want to catch Slabs(Big Keeper Fish) it is way cheaper and easier to learn from an expert. 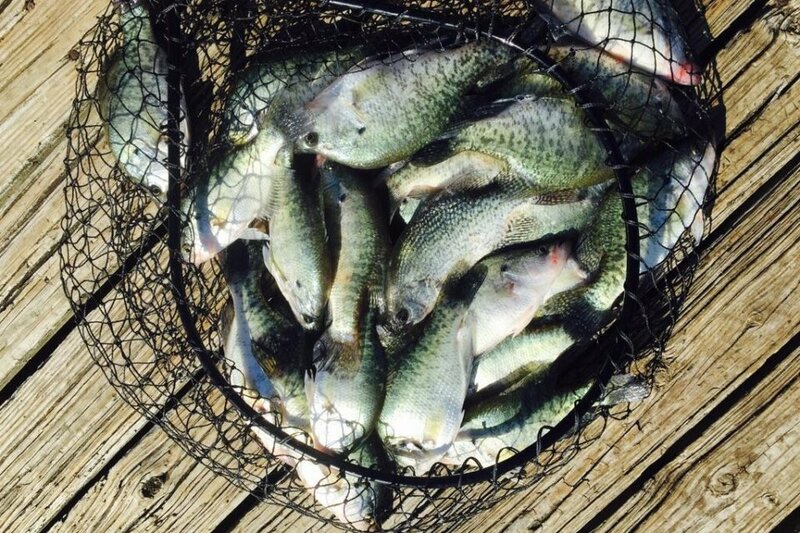 Using a Crappie guide will also put more of these delicious fish in the frying pan. If you are interested in going out on a Lake Lewisville fishing trip, call to schedule today. Jigging and live minnows are popular for bait. Fish suspend on structure at different times of the year. Structure, weather and time of year are the most important factors when fishing. The Spawn can be a major factor when locating fish. Aggressive feeding occurs before and after spawning. Then the fish will go on beds to spawn. A good spawn guarantees a fresh crop of fish for the next year. There is a large variety of fishing gear and baits to choose from and instruction can help you make the right decisions. Water clarity and color can have a major effect on bait selection. There are two species of Crappie that swim in Lake Lewisville and telling them apart can be difficult. These fish can be identified by color, but they can also be identified by the number of dorsal spines. Black Crappie have six dorsal spines as where White have seven dorsal spines. Black Crappie have a more spotted dark appearance, as where the White are shiny and silvery. The type cover and time of year can also effect the fishes color. Fish will change appearance and color depending on their environment. During the spawn the males will fan the nest with their tails, this behavior causes the males tails to turn red from abrasion. *For White and Black Crappie, their hybrids and subspecies, minimum length limit = 10 inches. Daily bag limit = 25 in any combination..